Αν αυτό που ψάχνετε είναι μια ιδιοκτησία σε καλό σημείο της πόλης Tagaytay, μην ψάχνετε πιο πέρα από το El Renzo Hotel Tagaytay. Από εδώ, οι επισκέπτες μπορούν να έχουν άμεση πρόσβαση σε όλα όσα η πόλη έχει να προσφέρει. Από τη βολική της τοποθεσία, η ιδιοκτησία προσφέρει εύκολη πρόσβαση σε κορυφαίους προορισμούς της πόλης. 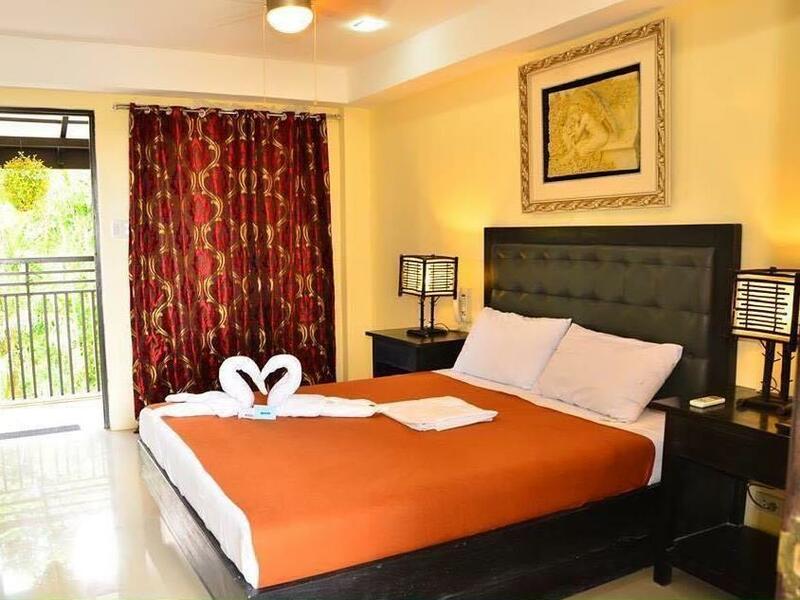 Στο El Renzo Hotel Tagaytay, η άψογη εξυπηρέτηση και οι ανώτερες εγκαταστάσεις συντελούν ώστε η διαμονή εκεί να σας μείνει αξέχαστη. Κατά την διαμονή σας σε αυτό το υπέροχο ξενοδοχείο, μπορείτε να απολαύσετε τα 24ωρη υπηρεσία δωματίου, δωρεάν WiFi σε όλα τα δωμάτια, ημερήσιος καθαρισμός, προσβάσιμο με αναπηρικό καροτσάκι, κουζίνα. Ελάτε σε ένα από τα 17 φιλόξενα δωμάτια και ξεφύγετε από τα άγχη της ημέρας με μια ευρεία γκάμα ανέσεων, όπως επίπεδη τηλεόραση, καθρέφτης, πετσέτες, ντουλάπα, ιδιωτική πισίνα, που θα βρείτε σε ορισμένα από αυτά. Η πλήρης λίστα των ψυχαγωγικών υπηρεσιών είναι διαθέσιμη στο ξενοδοχείο, συμπεριλαμβανομένων των βελάκια, υδρομασάζ, σάουνα, σπα, μασάζ. 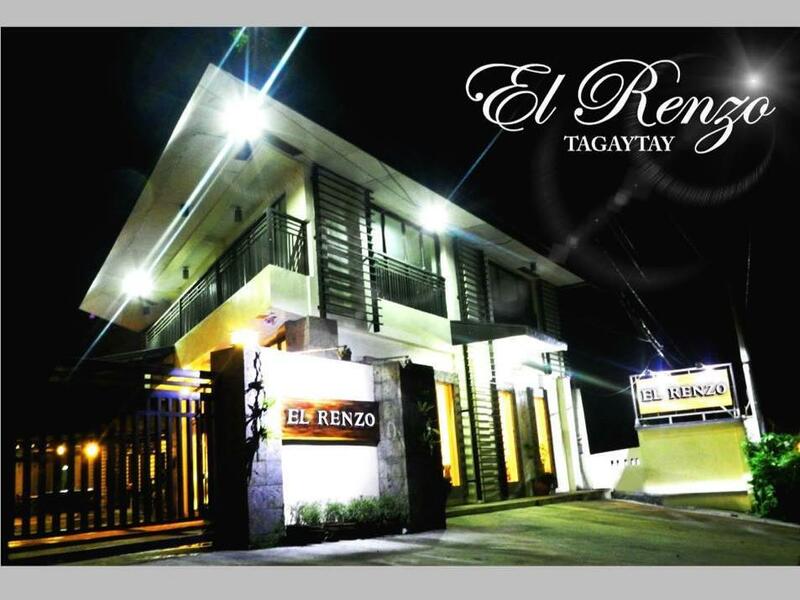 Το El Renzo Hotel Tagaytay είναι ο ένας και μοναδικός προορισμός για εσάς που ψάχνετε ποιοτικά καταλύματα στη Tagaytay. We stay here to attend wedding. It was a nice place to stay specially when you have to attend occassion nearby. 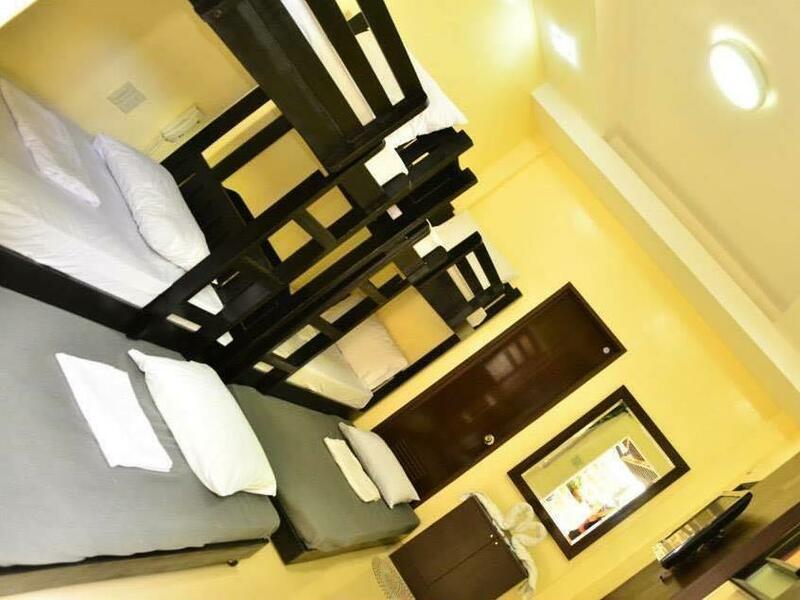 The place is along aguinaldo highway just 1 bus ride from pasay terminal. it was value for the money. When we arrived at the location no one assisted nor greeted us nd I had to look for a staff to direct us to their office. Once we set foot in their reception area or their common area it was so dirty. There were dirty dishes everywhere and no staff were cleaning them. After checking in we went to our room and to our disappointment the room smelled like old wood. I even had to buy an air freshener just for the room to smell good. The tv does't have a stable signal as well. We were supposed to play darts however it was covered with cobwebs. We were advised that the jacuzzi is until 12mn. So when we were abt to take a dip at around 9pm the staff told us that it was closed.And that is when we noticed that the staff were drinking alcohol we were abt to call a manager because of the misinformation then they immediately told us that we can swim. The water in the tub smells like tide. We noticed that their cctvs in the 3rd floor are not plugged in. We wont be visiting again. It was horrible. Checked in here to attend wedding at Hillcreek Gardens. The staff were kind enough to hail me a tricycle (which costs around 80 pesos) to Hillcreek. Their jacuzzi wasn't warm enough but overall it was a good hotel. Pros: -Near in the church and reception on the wedding that we attended. -Spacious parking lot. Cons: -No wifi. It's a must in nowadays. -No boiler (but you can ask the staff). -The room is quite small. The place is ideal if you have a wedding in Don Bosco Batulao. We just had a misunderstanding with the staff with regards to the payment. We were not able to get the free breakfast because we're in a hurry and the staff needed to be reminded several times that we will be taking it out. We asked the staff if we can take it out and he agreed. Nice and quiet area of tagaytay. Location is just right and accessible if you want to stay away from the busy business center but not too far to access stores and shops. 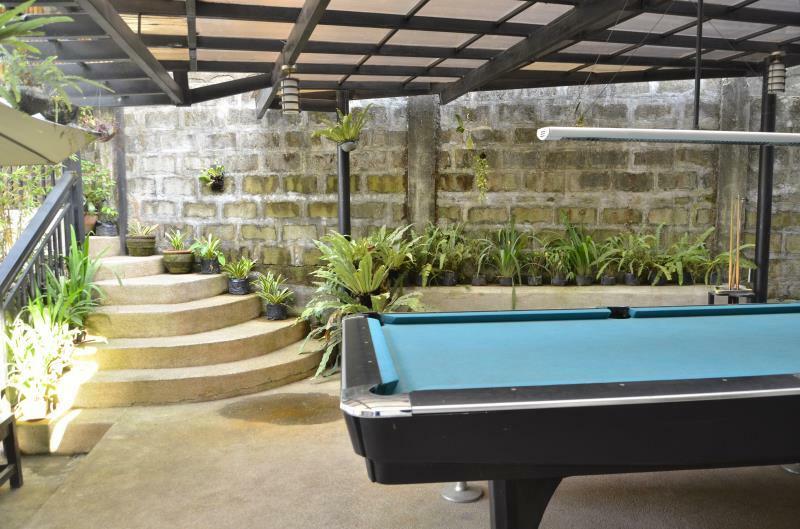 The place is perfect for groups, place has a lot of things to do and is a little bit near the places to go to in Tagaytay. The jacuzzi needs a more frequent cleaning though. Some lights needs replacement too but its a great experience. The property’s ace is their staff, everyone was so friendly and helpful. Probably one of the best staff we experienced in Tagaytay. Facilities of this hotel gave us great vibes! Their roof deck where jacuzzi and gathering spot is placed made us feel like home away from home. Television doesn’t have cable and wifi is not that good but their hospitality and customer service compromised it all. Accidentally made a double booking but their boss Ma’am Cindy even extended her help to contact agoda to verify the double booking. Kudos to all the staff! Will definitely have a staycation to this hotel again! If you are looking for a quiet place to stay I would recommend this hotel. The staff is very accommodating and nice. However, I would suggest that they have to maintain the cleanliness of the facilities like sweeping of floor and dusting of furniture and fixture. They also need to change the water in the jacuzzi because the smell of the chlorine is too strong. The location of the hotel is great since it is just along the highway and is near the reception of the wedding venue that we attended. But we are not happy with the cleanliness and the maintenance of the hotel and the rooms. When we arrived from the wedding, we were welcomed by a big mouse inside our room. One of the staff had to chase that mouse to go out of our room but we found out that it came out from the hole in their ceiling. That night, we were not able to sleep comfortably since we have a 5-year old kid with us and afraid that the mouse might come out again. Then in the middle of the night, my husband was awakened by a cockroach but he was able to kill it. It was a stressful night. Then the next morning when I was about to wash my daughter, the sprayer accidentally was pulled out of the bidet hose which caused the water to be all over the bathroom. Another staff came over to fix and clean the mess. Overall, the stay was disappointing. I booked on this hotel since I will be attending a wedding on a nearby location. Upon arrival, it seems that they are doing some maintenance on their facilities. There is no person on the front desk where I could ask about my reservation. I was guided to my room and asked to wait for around 5 minutes outside. It seems that the room is not yet ready upon my arrival. Upon entering the room, Ughhh! a strong odor of room deodorizer welcomed me. Worst experience upon entering a room. 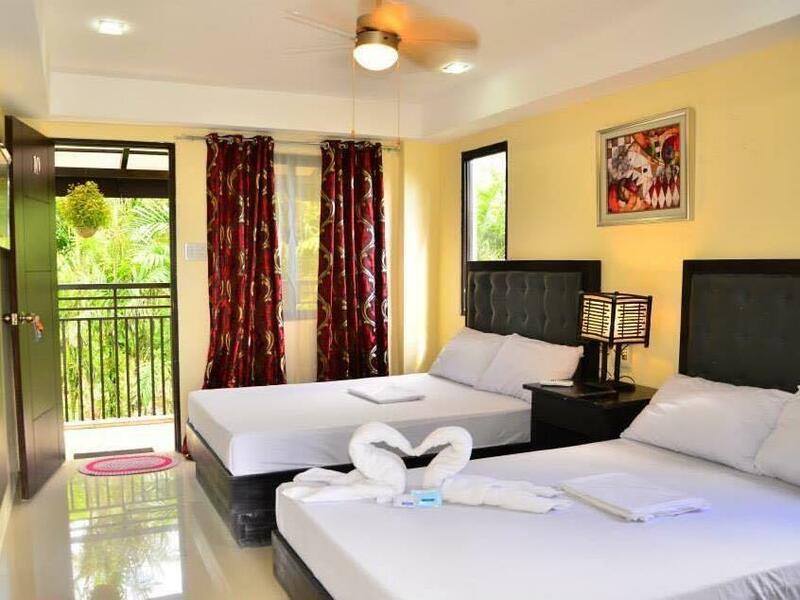 The room itself also looks like an ordinary room where you can find elsewhere for a cheaper price. The only thing I appreciate is the air-conditioning. Kudos to the honest staff though since they manage to keep the other room of my girlfriend secured because of forgetting to close the door and leaving the key while on the wedding. free use of videoke, free use of jaccuzi ,, free use of billiards table n darts..... superb staff . .
Everything was okay except for no phone in our room (3rd flr), no sleepers, the toilet had a leak and no food available to order. The place we rented in is a bit dusty. The Bathroom smells like a cockroach infested sink. There is only one channel that is working which is a GMA7. Location is good for those who will need a place to stay in and has a wedding to attend somewhere in Batulao or Chapel on the hill. Staff are very accommodating and we are served very well. The room has so many insects. Facilities and sorroundings are not clean, not maintained. The hotel is not applicable for old/aged guests. stairs are stiff. No elevator. Value for money. Very accommodating and responsive staff. I just don't like the other guests who made noise at 7am in front of our room.